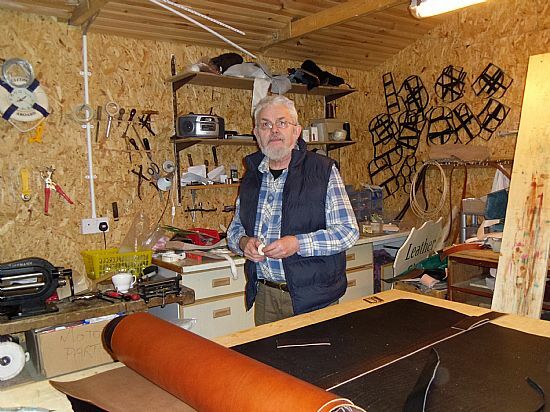 Ours is a family business based in Sleat on the Isle of Skye off the West Coast of Scotland. 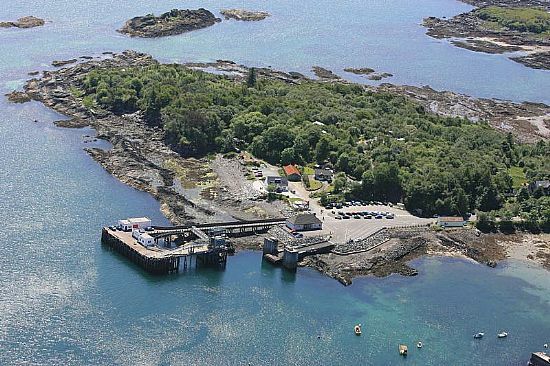 Our shop is in the south of the island at the end...... and I mean the very end....... of Armadale Pier in the 'Old Ticket Office' by the Cal Mac ferry terminal. The ferry goes from here to Mallaig on the mainland. In the workshop father and son Tom and Robbie Hyslop work together. 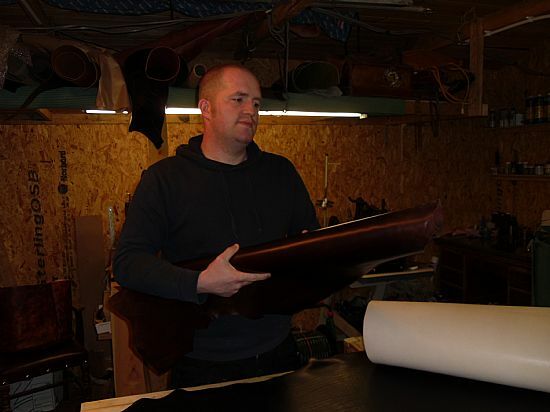 Using their own designs and top quality leathers they create unique items with a Scottish twist. Unique and original designs. Made in our own workshop from high quality veg-tan and suede leather. 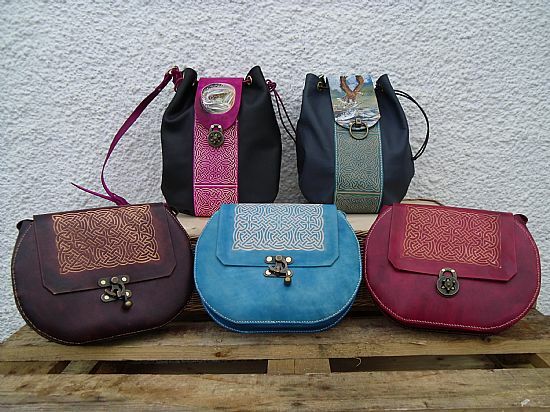 Hand dyed,painted and sewn With or without embossed celtic patterns. 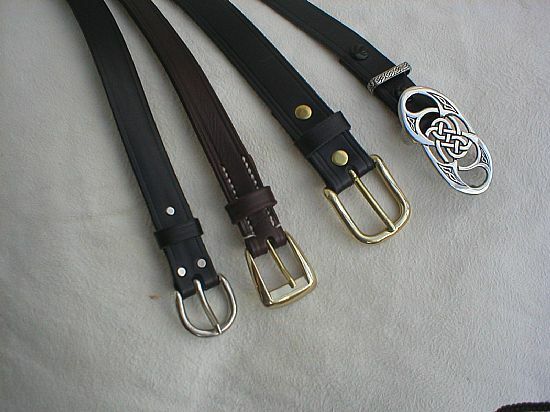 In harness leather with a variety of brass pewter and steel buckles. Men's and women's sizes. Made to fit standard trouser loops. 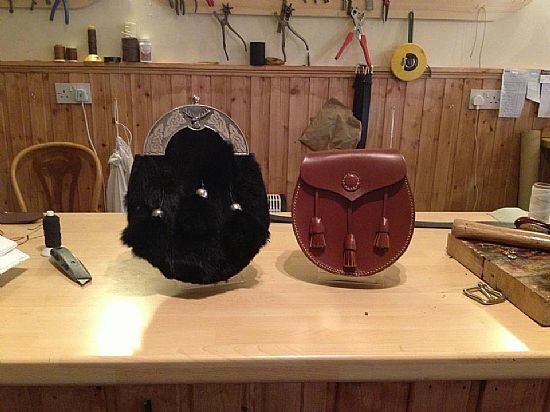 In the shop as well as our own handmade bags, belts and sporrans etc we also sell leather goods from all over the world. Italy, Peru, India, Spain, China, Morocco, England. We stock a wide range of fashion bags, sheepskins, reindeer skins, and full size cow hides as well as gloves, purses, wallets, slippers etc.